Restaurant Tony’s deli was re-opened in April 2015 after an extensive renovation. Italian cuisine continues to be the main attraction, but restaurant includes now more space due to the new spot at street level. Main restaurant, Tony’s deli, serves more sophisticated portions like it did in the past. 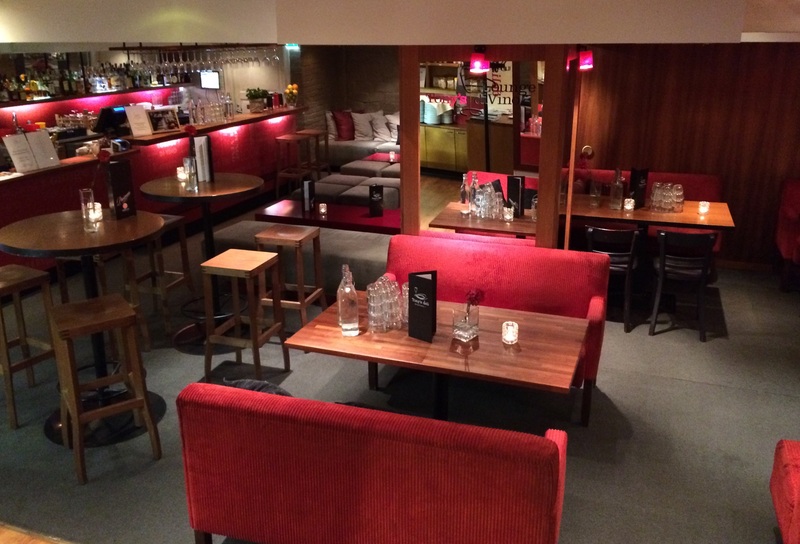 Lounge diVino with shop has a antipasti buffet and new in restaurant concept, Italian Street bar, is most relaxed, when it comes to athmosphere. There you can order antipasti trays and even listen modern music. 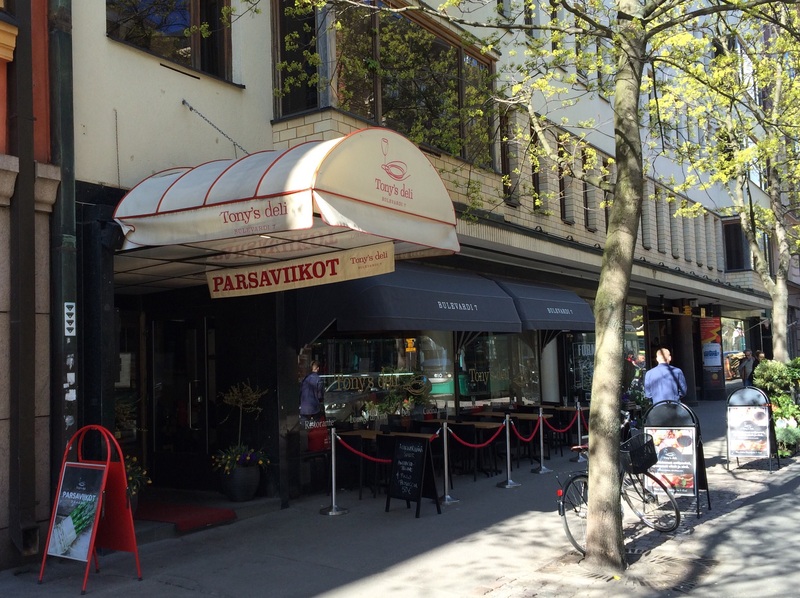 Tony’s deli (restaurant name) was founded already in 2005, but after some changes in restaurant location and ownership, Ravintolakolmio http://www.ravintolakolmio.fi/ operates it. First hiccup came when asked recommendation for aperitif and if restaurant has Aperol Spritz. 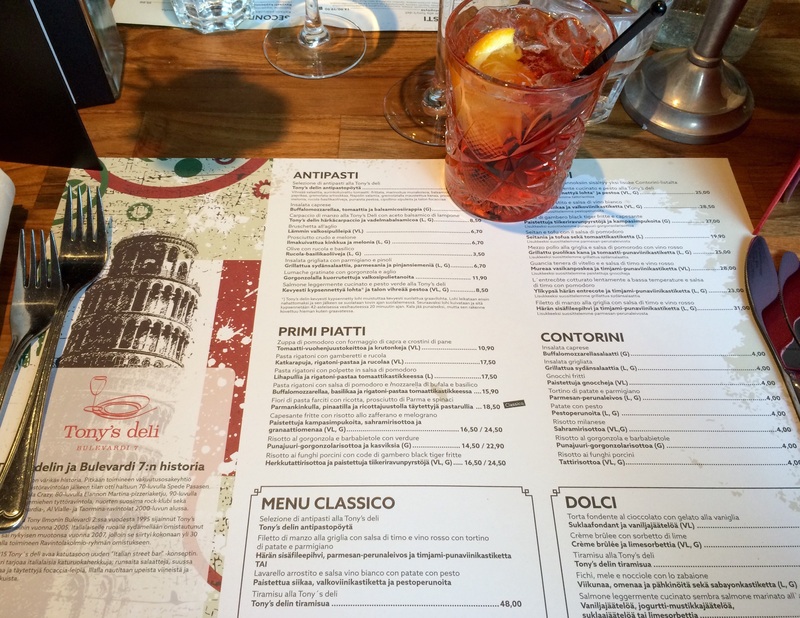 Waitress had to go ask if they have it….. Decided to order Campari soda and glass of house champagne, which was Mumm. 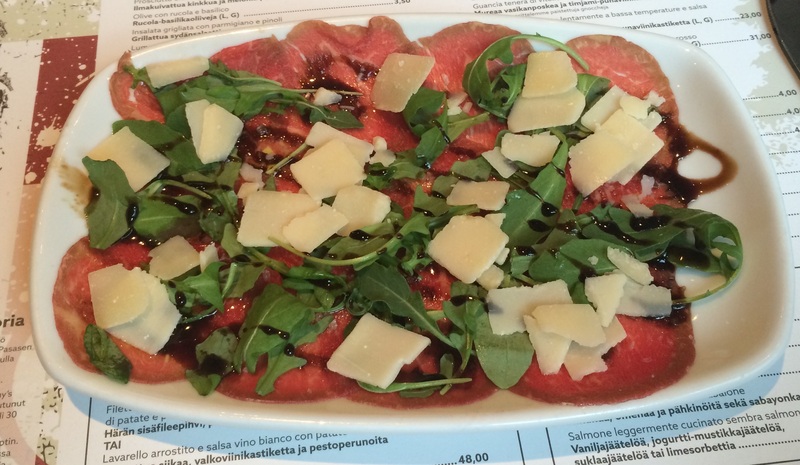 Started dinner with Antipasti as in Italian restaurant you should do. Depending on the amount and size of these small Italian snacks, you soon know if you have to skip Primi Piatti, pastas, which are also on menu. For antipasti had Tony’s delis beef carpaccio with raspberry vinegar, Olives with basil and rocket and Grilled gem lettuce with parmesan and pine nuts. Beef was tender but taste was covered under sweet vinegar, salt and parmesan. With less of those, this dish would have been excellent. 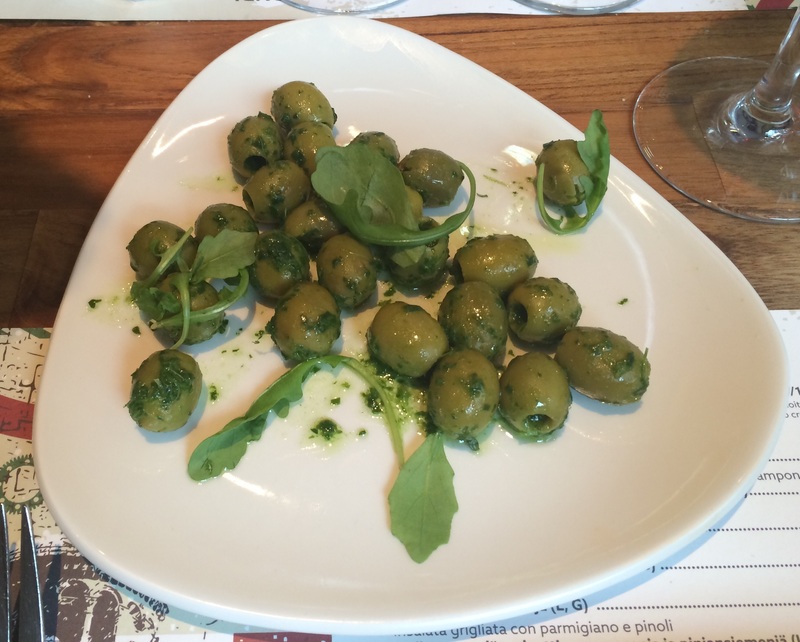 Olives are good example of basic Italian antipasti and Tony’s deli managed well. Gem lettuce could have been more grilled, but it must be difficult to avoid burning of soft lettuce leave. 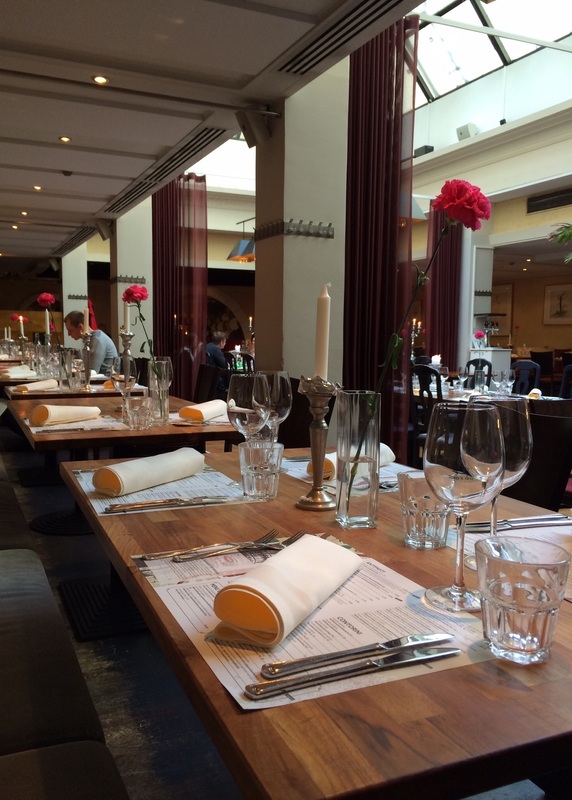 With starters restaurant serves delicious foccaccia and even gluten-free bread if needed. 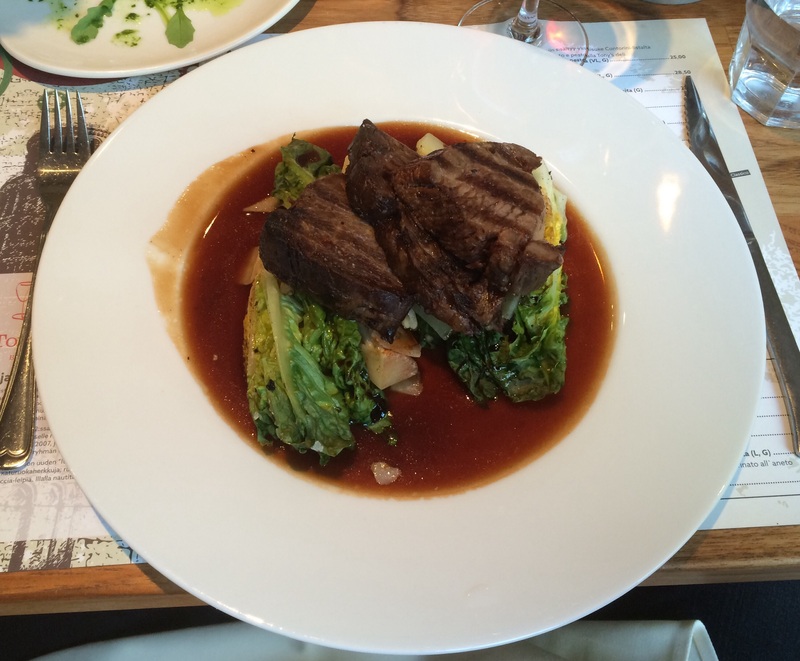 For main courses ordered Braised entrecote of beef with thyme and red wine sauce and Pan-fried white fish with white wine sauce. For main courses you have to choose side dish from 8 different alternatives. Part of them are the same as starters. Entrecote was braised well so that grease had almost gone. Only problem was that lettuce was softening in sauce. Suggest to serve it in separate bowl as potatoes for whitefish. 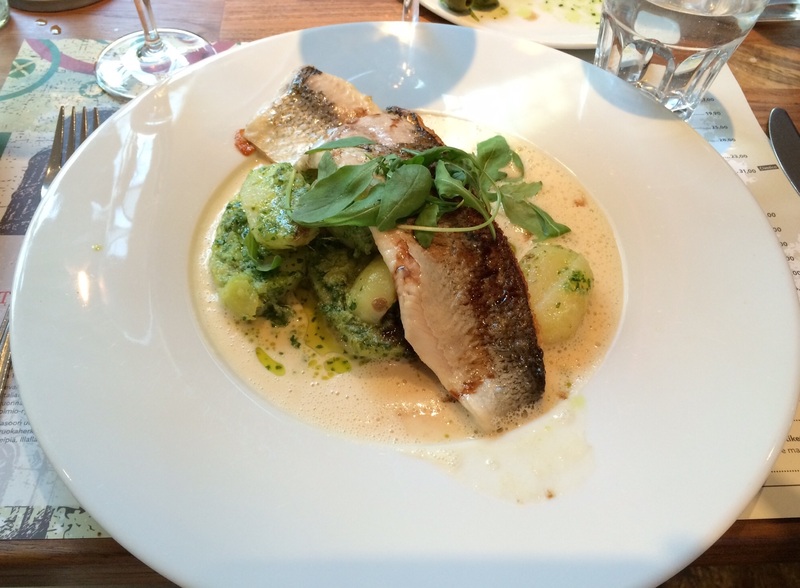 Fish was well prepared but maybe side dish suggestion, potatoes, is not the perfect match. 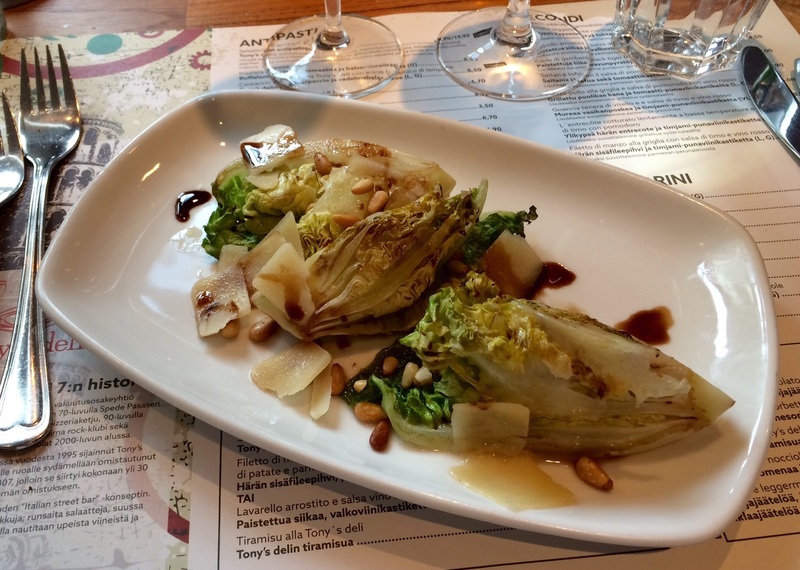 Wine list is modest consisting mainly from Italian wines. 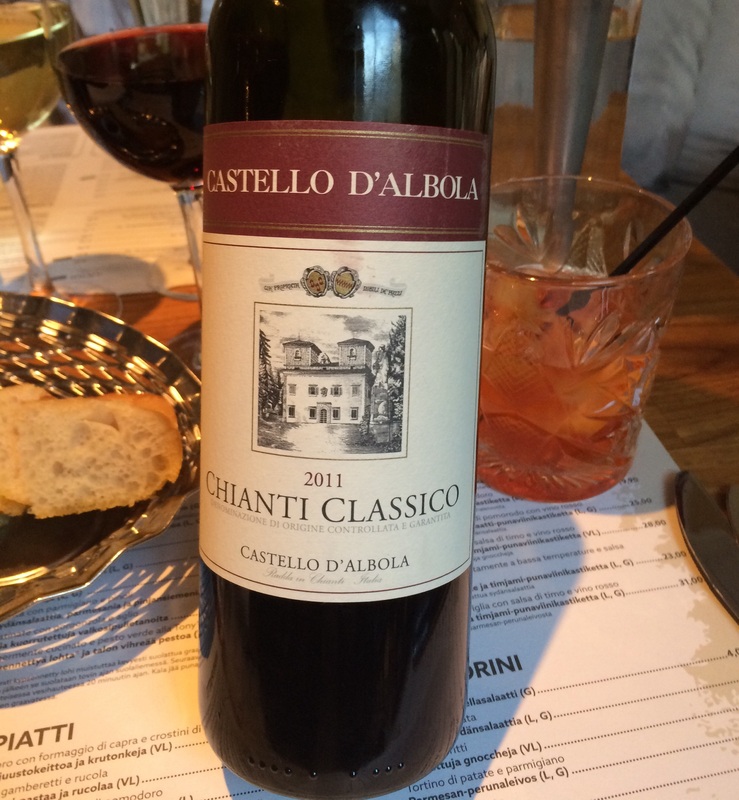 Chose for red wine Chianti which paired well with meat starter and main course. Montiggl riesling instead was dissappointment. Tasted almost like sauvignon blanc and it was served too early. Had to ask ice for it. Noticed that restaurant offers wine tastings, but if 4 glasses are filled with 16cl at once, what happens to temperature of white wines? 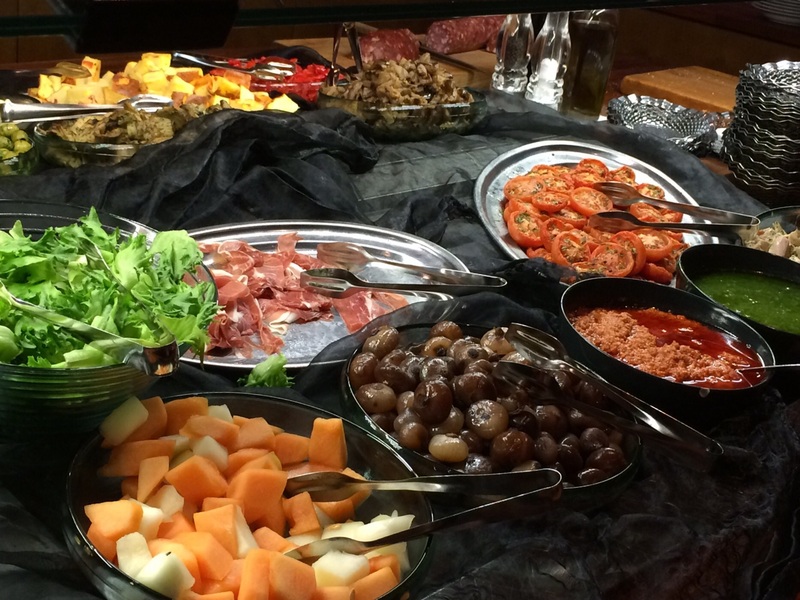 Tony’s deli antipasti buffet is the one you must choose, if you visit restaurant. It is most popular among diners. Main courses are of course most difficult to prepare. As restaurant has been opened month ago, waitering needs still some guidance. Italian pizzeria music in the background might attract most and main dining room is quite impressive due to glass roof. 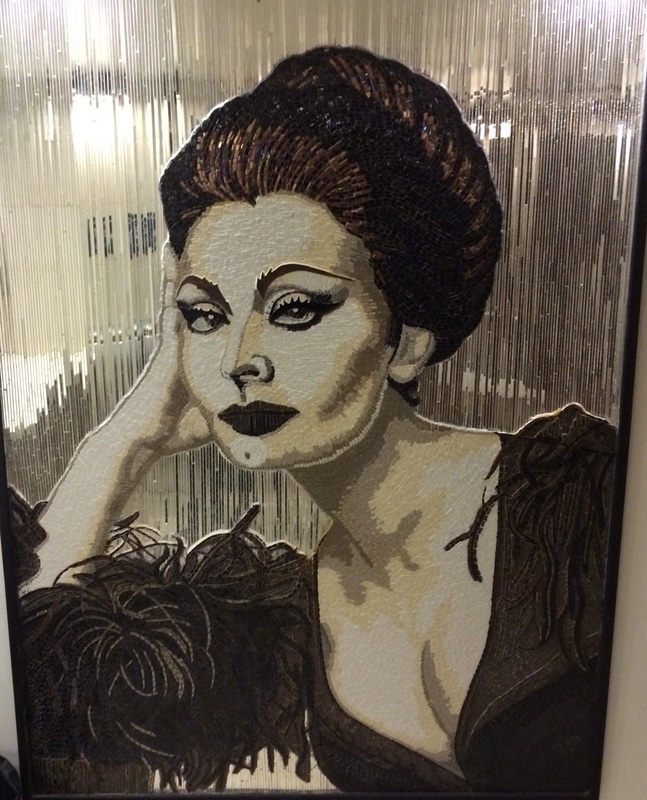 There are many paintings on the wall’s and Sophia Loren is still on men’s room wall.